Sadie was born in 1965 in Adelaide, Australia, into a family of musicians. When she was five, her father brought the family to England to pursue his career as an opera singer. Sadie learnt the piano and violin as a child (mainly under duress, apparently), but went on to study music at Surrey University, and later gained a doctorate in composition at King’s College London where she studied with Nicola LeFanu and David Lumsdaine. After a number of successful years as a composer, with her works regularly performed and broadcast around the world, to critical acclaim, in 2008 Sadie took a break from composition to study for a degree in archaeology. She worked as a field archaeologist in Britain and Hungary for several years, and in 2010 took part in Channel 4’s ‘Time Team’ series. She returned to composition in 2011 and remains much in demand for commissions. Her music is regularly recorded, performed and broadcast by leading performers around the world. Interaction between musical cultures is a driving force for her, and she has a particular fondness for the traditional musics of Afghanistan and Lithuania. Now based in Dorset, Sadie is a composition mentor with the South West Music School and tutor with New Music South West. The NMSW Trio, with singer Michelle Ezigbo, premiered Coretta in Bristol on 4 February 2018, and will be performing it again at the concert on 23 September. 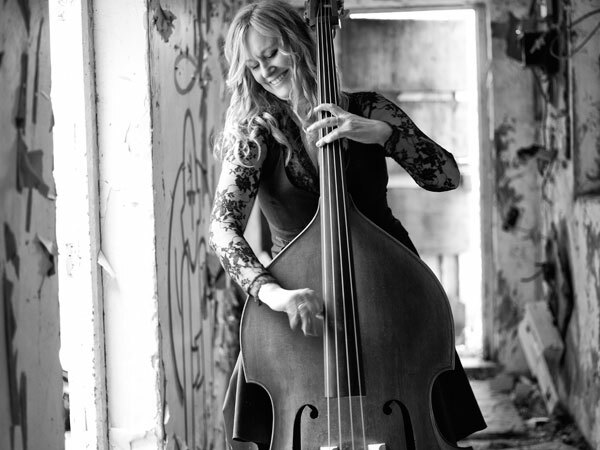 For more information on Sadie Harrison and her music, see her website.